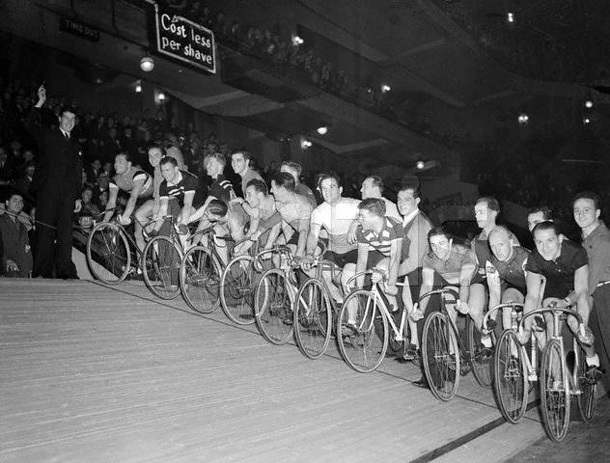 The Six-Day Bicycle Races. - Bicivilizados. Ciclismo urbano. Alegría entre tus piernas. Home / fotografía / The Six-Day Bicycle Races. New York. 6 day bicycle race, Madison square Garden, 1913. 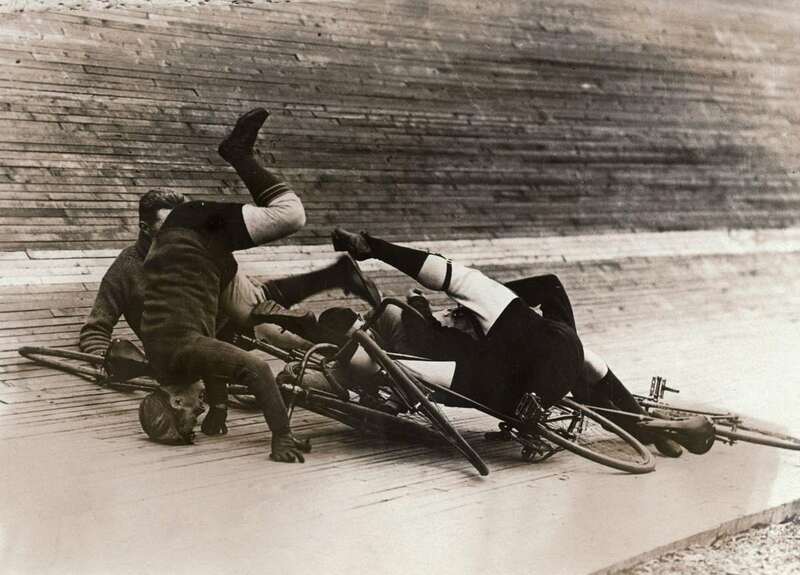 There may have been actual crashes, but this one was staged, the giveaway being that the guy standing on his head is smiling.